3-4: Keep the weekend of June 3 and 4 open for a Radio Control fly-in and sleep over at Henley. Susan Vosloo, wife of the owner of Henley Airfield, will have her mobile restaurant in attendance and the food which she and her daughters prepare is 5 star. 10-11: EAA Chapter 1502 Ladysmith fly in. Contact Gerald Maddens zero seven two56154six nine. 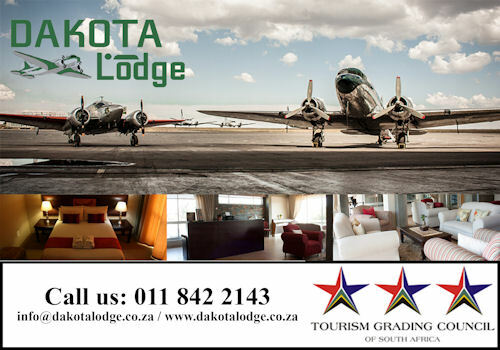 Two bed cottages at R500 per night including breakfast, out flights around Battlefields and more. 16-18: MISASA Microlight Championships and kroon Fly in. 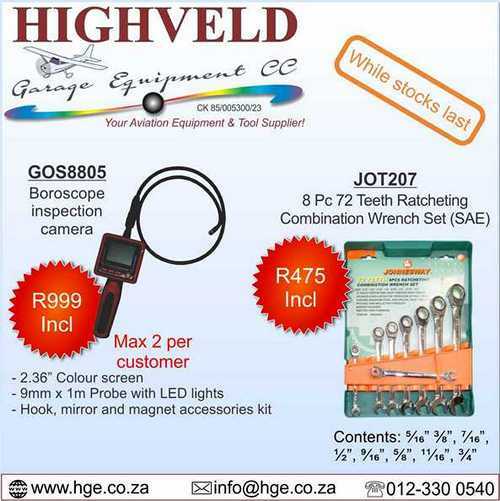 Contact Mervyn on 073 763 7510 for competition details. 8: EAA Chapter 973 - Krugersdorp. Breakfast Fly-in to Crosswinds Airfield. All EAA members, Microlighters, friends and aviation enthusiasts - You are all invited to fly in or drive in to Crosswinds Airfield and enjoy the day with us. A full breakfast at R80 per head will be available, which includes coffee and tea. 28: World Precision Flying Championships - Austria. 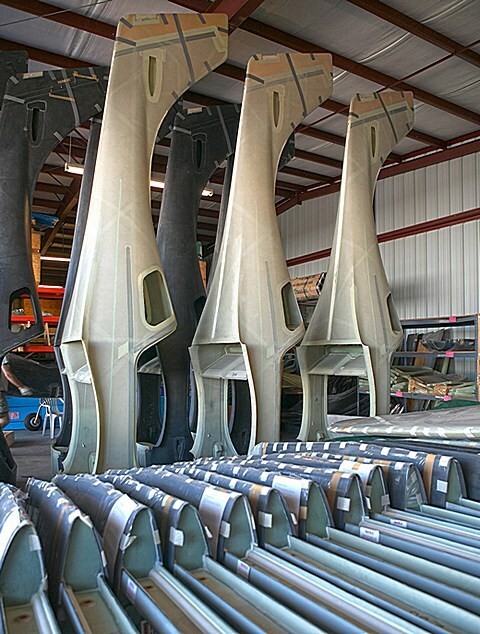 Following the recent acquisition of Lancair by the Huffstutler family, the company has begun the process of repatriating kit manufacturing fixtures and equipment from their former location in Cebu in the Philippine Islands. Multiple containers of aircraft moulds, fixtures, inventory and support equipment are being shipped to their new home in Uvalde, Texas. Team members have been hard at work since the company's purchase in February 2017, unloading and organizing several tractor-trailer loads of parts and equipment from the company's former headquarters in Redmond, OR into their new home. In the weeks ahead, the Lancair team will reinstall the manufacturing equipment in their new 5-hangar complex at Garner Field Airport (KUVA) in Uvalde, Texas. Bolstered by a new spirit of optimism in the US business sector, the company expects to return to full-scale kit manufacturing in the near future. "The popularity of 'Make America Great Again' certainly suggests that 'Make Aviation Great Again' is a worthy goal for our company and our country. We are looking forward eagerly to a role in the forefront of new developments in U. S. aviation." states Mark Huffstutler, CEO of Lancair International. Lancair's new headquarters comprises some 88,000 square feet of climate-controlled hangar and office space. While still unpacking file cabinets and purchasing furniture, the company has already begun offering a variety of aircraft services from the new location. 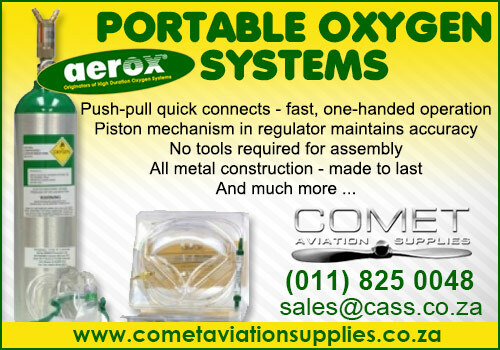 Maintenance, repair and overhaul (MRO), inspections and avionics support services are available for both experimental and certificated aircraft, including piston and turbine-powered planes. 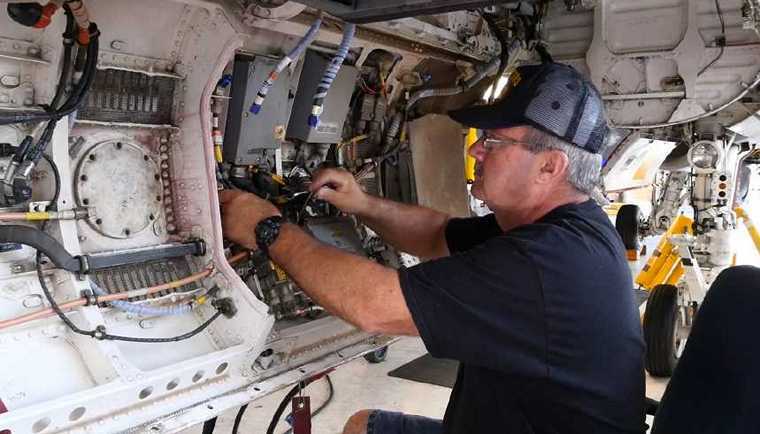 Drawing on an experienced local aviation workforce, the Uvalde airport location also features on-site paint and interior refurbishment, making it a true "one-stop shop" for regional owners and operators of private aircraft of all types. Existing Lancair kit and aircraft owners will also enjoy full support for new and replacement parts, technical assistance and support documentation. The decision came out after a very detailed aircraft comparison and evaluation by George Barbu, General Manager of the Romanian Aviation Academy and his team. Based in Bucharest, RAA is Romania's largest Air Training Organisation and is supported both by its national government and the Transport Ministry. The Romanian aviation Academy has already successfully trained and graduated of 4,000 pilots and operates a fleet of 12 fixed-wings and 4 helicopters. The Tecnam P2006T Next-Generation twin is in a class of its own, bringing affordable multi-engine flying to aero-clubs, flying schools, syndicates and private aircraft owners around the world. The P2006T offers unbeatable value, coupled with low operating and ownership costs, innovative design and Italian styling. The Rotax '912S' allows the Tecnam P2006T to lead with respect to the environment too. 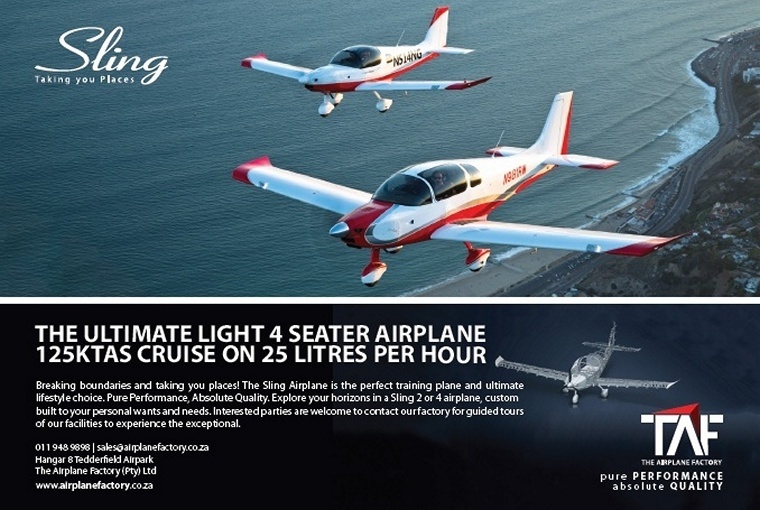 With both a remarkable fuel saving offering and much lower noise emissions, it is redefining both the flight training and aircraft ownership experience in one step. George Barbu, GM, Romanian Aviation Academy commented: "We have chosen Tecnam for our fleet renewal both for its modern design and low operational costs. 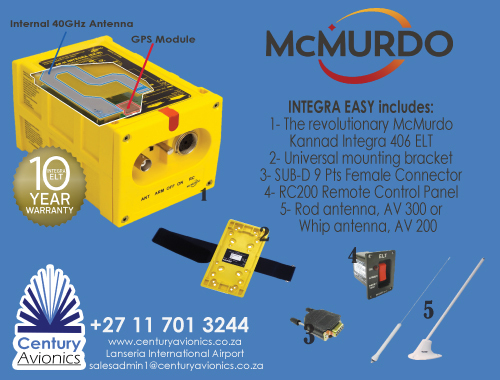 This enable s us to offer the latest technology to our students at a very reasonable hourly rate. This acquisition is the first in the cycle of our ambitious fleet renewal programme. We are committed to offering even better value for money for our flight programs and we are targeting a 20% reduction in our fees." Paolo Pascale, Managing Director Tecnam, "We were delighted to be invited to participate in Romanian Aviation Academy's rigorous selection process and especially as following an intensive evaluation, that we were selected above a number of other competitors. RAA not only valued the overall benefits the P2006T will bring to their fleet but particularly appreciated the on-going services and support that Tecnam have firmly established a great reputation for". Quest Aircraft and Pratt & Whitney Canada have committed their support for the afternoon air shows at EAA AirVenture Oshkosh 2017, "The World's Greatest Aviation Celebration," which is July 24-30, 2017, at Wittman Regional Airport in Oshkosh. "The air shows at EAA AirVenture Oshkosh are known as the place where an all-star roster of performers provide hours of entertainment each day," said Rick Larsen, EAA vice president of communities and member programs who coordinates AirVenture features and attractions. "Oshkosh is also where there is a combination of people and aircraft that you'll no place else in the world. We thank both Quest Aircraft and Pratt and Whitney Canada for providing the support that makes these unforgettable performances possible." Among the performances at Oshkosh are those from the world's finest aerobatic pilots, international aerobatic competition champions, warbird re-enactments, and fly-bys from innovative and one-of-a-kind aircraft. The daily afternoon air shows begin each day at approximately 2 p.m. CDT. "Pratt & Whitney has been a name synonymous with both the heritage of flight and aviation innovation, which is also the appeal of Oshkosh," said Nicholas Kanellias, Vice President for General Aviation at Pratt & Whitney Canada. "We're enthusiastic about being part of EAA AirVenture this year and especially the magnificent performances we see every afternoon during the air show." "EAA AirVenture offers so much to aviation enthusiasts from around the world, especially in the form of their spectacular air show performances. Quest Aircraft is honored to be a part of making that happen this year," said Nick Newby, Quest Aircraft's Senior Vice President of Sales and Marketing. "Our sponsorship is driven by the passion and excitement behind these performances, a great match for the Kodiak, an aircraft with a passionate following of its own." 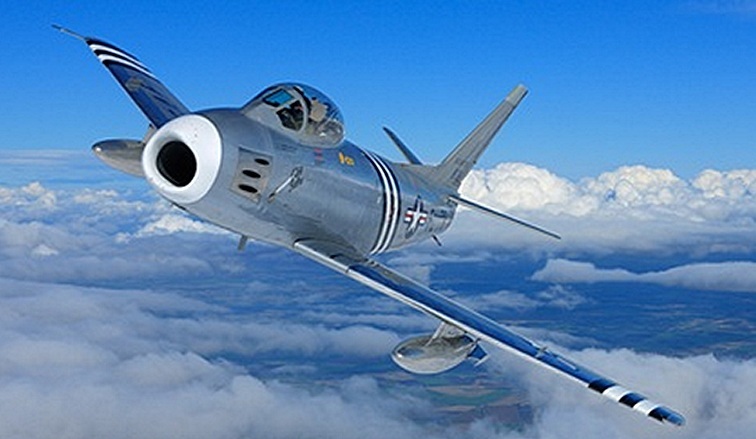 The year 2017 is shaping up to be a great one for fans of classic jet fighters, as we're expecting a strong showing of North American F-86 Sabres at EAA AirVenture Oshkosh this summer. 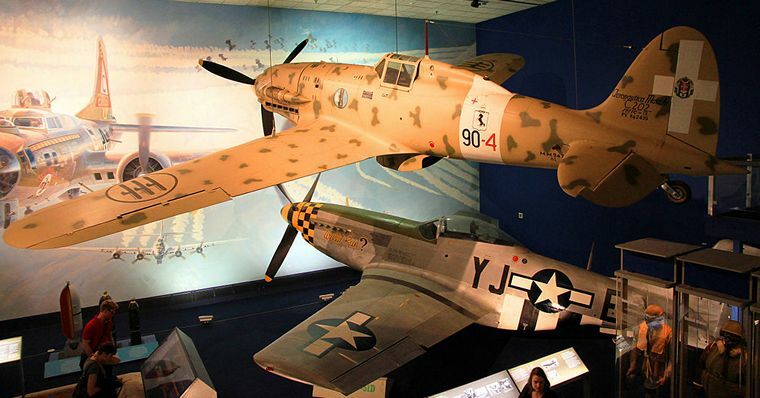 One of them is an early A-model, and has the distinction of being the world's oldest flying jet. This F-86 - serial No. 48-178 - was built in February 1948 and was the 50th A-model off the line at the North American factory in Inglewood, California. The early pioneer of the jet age is considered an excellent example of a true machine-age icon as it doesn't have a single semiconductor. 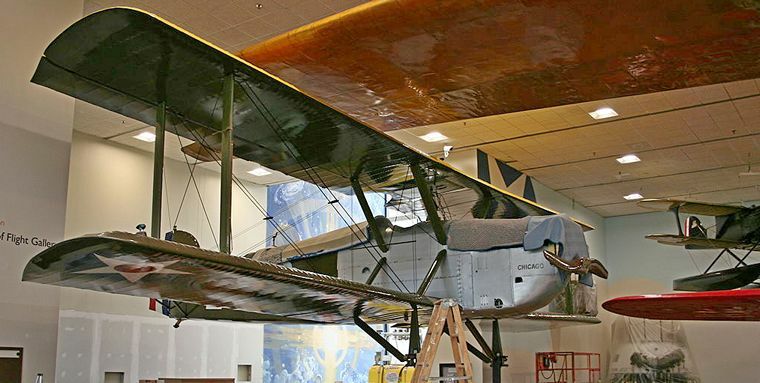 The only surviving A-model currently flying, its service history includes Strategic Air Command, Air Defence Command, and the California Air National Guard. It flew in defence of the Los Alamos nuclear research facility with the 94th Fighter Squadron of the 1st Fighter Group. The Sabre was later transferred to a technical college in Fresno, California, and then sold to a local scrap dealer where, thankfully, it wasn't scrapped. It and another F-86A in the same scrap yard were purchased by Ben Hall of the Sabre Pilots Association in 1970 and the extra parts helped to restore 48-178 to airworthy condition four years later. The airplane flew again on May 24, 1974, and continued to fly regularly in North America (one of its pilots included the legendary Bob Hoover). It was sold in October 1983 and was operated by John Dilley of Fort Wayne Air Services through 1990 when Robert Horne, founder of the Golden Apple Trust, acquired it and brought it to the U.K., and the F-86A has flown on the European air show circuit for most of the past 22 years operated by Golden Apple Operations Ltd.
Dr. John Swartz, EAA Lifetime 1075948 and Warbirds 596506, of Afton, Oklahoma, acquired the aircraft a little more than a year ago, then had it disassembled and shipped to Heritage Aero in Rockford, Illinois, for reassembly and testing. Swartz had hoped to bring the airplane to Oshkosh in both 2015 and 2016, but didn't quite make it, so we're excited to welcome the airplane this year along with as many as four other Sabres. The U.S. Defense Advanced Research Projects Agency (DARPA) has chosen The Boeing Company to design and build its Experimental Spaceplane (XS-1), an unmanned, reusable space plane expected to improve national security by making low-cost, launch-on-demand access to space a reality. If successful, the XS-1 project will give birth to a completely new kind of space plane, but many of its features would be reminiscent of an ordinary earthbound plane. About the size of a commercial jet airplane and powered exclusively by self-contained cryogenic propellants, the craft would take off vertically without external boosters and achieve hypersonic speeds. Upon reaching sufficient altitude, it would release its upper stage and deploy a 3,000-pound satellite. The job complete, the first stage would return to Earth and come in for a landing horizontally, much like an airplane. Again, just like a typical commercial jet, it would only require a few hours of downtime before being ready to fly again. The XS-1 design also includes futuristic technologies that would set it apart from existing aircraft and spacecraft. These include composite cryogenic propellant tanks and hybrid composite-metallic surfaces and wings capable of withstanding temperatures of more than 1,093 degrees Celsius (2,000 degrees Fahrenheit) and hypersonic, suborbital flight stresses. It is also expected to feature autonomous flight and flight-termination capabilities, courtesy of the agency's Airborne Launch Assist Space Access (ALASA) program. "The XS-1 would be neither a traditional airplane nor a conventional launch vehicle but rather a combination of the two, with the goal of lowering launch costs by a factor of ten and replacing today's frustratingly long wait time with launch on demand," DARPA program manager Jess Sponable said in a press release. "We're very pleased with Boeing's progress on the XS-1 through Phase 1 of the program and look forward to continuing our close collaboration in this newly funded progression to Phases 2 and 3 - fabrication and flight." If the design and testing phases all go as planned, we should see the XS-1 in the air in 2020. The first Lockheed Martin (NYSE: LMT) LM-100J commercial freighter aircraft achieved a critical milestone with the completion of its first flight here today. "I was proud to fly the first flight of our LM-100J. It performed flawlessly, as is typical of our military C-130J new production aircraft," said Wayne Roberts, chief test pilot for the LM-100J Program. "This new model will perform many commercial roles in the decades to come, like humanitarian service following natural disasters and others like nuclear accident response, oil spill containment, and firefighting. This aircraft will also enable remote area development such as mining and oil and gas exploration. This day marks the beginning of a tremendous commercial capability that only the LM-100J can deliver." This first flight followed the same test flight route over North Georgia and Alabama that is used for all C-130J Super Hercules aircraft. The LM-100J will complete initial production flight tests and then begin Federal Aviation Administration (FAA) type certificate update flight test requirements. The LM-100J is the 17th different mission capability developed for the C-130J Super Hercules and it is an updated version of the L-100 cargo aircraft, which Lockheed Martin produced from 1964-1992. Lockheed Martin officials submitted a Program Notification Letter to the FAA on Jan. 21, 2014, for a type design update to this aircraft, a civil-certified variant of the C-130J Super Hercules to be marketed as the LM-100J. Through select design innovations, the LM-100J will perform as a commercial multi-purpose air freighter capable of rapid and efficient cargo transport. The LM-100J is an ideal airlift solution for delivering bulk and oversize cargo, particularly to austere locations worldwide. Like its military counterpart, the LM-100J will be able to support multiple missions, ranging from firefighting to medevac to VIP transport. The LM-100J incorporates technological developments and improvements over the existing L-100s that result from years of C-130J operational experience, including more than 1.5 million fleetwide flight hours. The result of this experience and advancement translates to an aircraft that will deliver reliable service in a multi-role platform for decades to come. Boeing [NYSE: BA] will upgrade additional F/A-18 Hornet and Super Hornet fighters for the Navy and Marine Corps through a recently awarded $238 million contract extension. The U.S. Department of Defense awarded this contract on May 5. The work at the company's Cecil Field facility will keep the aircraft modern and mission ready. It includes high flight-hour inspections, periodic maintenance inspections, in-service repair and modifications, upgrades and engineering. "Our mission is to support the Navy's effort to improve readiness," said Boeing F/A-18 Sustainment program director Travis McBurnett. "Since 1999, the Boeing Cecil Field team has returned 880 modified or repaired F/A-18s to the Navy and Marines. We look forward to delivering many more in the coming years." Switzerland, Basel: A British Airways Airbus A321-200from Basel/Mulhouse was rotating for takeoff from Basel's runway 15 when the right hand engine began to emit a series of bangs as result of compressor stalls prompting the crew to stop the climb at 5500 feet, shut the engine down and return to Basel for a safe landing on runway 15 about 13 minutes after departure. USA, Detroit: A Delta Airlines Airbus A330-200 on a flight to Amsterdam had just started the descent from FL410 when descending through FL380 the right hand engine stalled for a first time followed by a number of fault messages concerning the right hand wing anti ice systems and followed by two more engine stalls. The crew reduced the engine to idle thrust which stabilized the engine at normal parameters. The aircraft continued to Amsterdam for a safe landing about 35 minutes later. USA, New Castle County: A Metro Aviation Eurocopter EC 135P2 HEMS helicopter operated by PennStar on a practise ILS approach crashed into an industrial estate about 500m short of the threshold of Runway 01 and some 500m to the right of the extended centreline. The pilot did not survive and the helicopter was destroyed in the post-crash fire. USA, Perris Valley Airport: A de Havilland Canada DHC-6 Twin Otter 300 with two on board operating skydiving flights out of Perris Valley upon returning to the airport encountered a dust devil on landing and hit a gas truck. The right hand wing had separated just outboard of the no.1 engine and the nose landing gear was sheared off whilst the nose section was heavily damaged. Nepal, Lukla-Tenzing-Hillary Airport: A Let L-410UVP-E20 operated by Summit Air on a cargo flight with a crew of three was destroyed in an accident when it attempted to land at Lukla-Tenzing-Hillary Airport in Nepal. The captain can co-pilot both sustained fatal injuries. Unconfirmed news reports suggest that the aircraft hit a pine tree, three metres below the runway threshold level before landing. The aircraft came to rest on a steep rocky and wooded downslope, next to the airport perimeter fence. 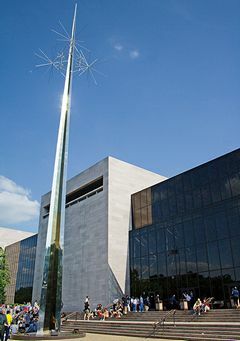 The National Air and Space Museum (NASM) of the Smithsonian Institution open in Washington, D. C., United States. Housing the world's largest collection of air- and spacecraft, the Smithsonian National Air and Space Museum contains monumental pieces of flight history, including the Spirit of St. Louis and Apollo 11 module. The museum is also a centre for research into the history and science of aviation and spaceflight, as well as planetary science and terrestrial geology and geophysics. The museum was established in 1946 as the National Air Museum and opened its main building on the National Mall near L'Enfant Plaza in 1976. In 2014, the museum saw approximately 6.7 million visitors, making it the fifth most visited museum in the world. The museum contains the Apollo 11 module, the Friendship 7 capsule which was flown by John Glenn, the Bell X-1 which broke the sound barrier, and the Wright brothers' plane near the entrance. On June 30, 2015, the Smithsonian began seeking approval for a $365 million renovation to the National Air and Space Museum. In March 2016, Smithsonian officials said the project's cost had risen to $600 million. In late June 2016, Smithsonian officials projected the museum's renovation to cost $1 billion. This included $676 million for construction, $50 million to build new storage space, and $250 million for new exhibits. The Smithsonian said it would raise the exhibit funds from private sources, but asked Congress to appropriate the rest.